It’s estimated that around 5% of all car accidents in Toronto, London and Peterborough are caused by head on collisions between two or more motor vehicles. That’s a pretty low figure considering the amount of accidents which take place on Ontario’s roads. But, head on collisions are some of the most talked about accidents you will find. They’re often covered by the media, whether it’s on television, radio, or in local or national newspapers. The reason that head on collisions attract so much attention is twofold. Firstly, head on collisions often involve one driver, or both drivers breaking the law. Alcohol, drugs, drowsy driving, or simply not paying attention to the rules of the road are the primary factors leading into these sorts of car accidents. If everyone was following the rules of the road, head on collisions should not happen. Bad weather like ice, rain, snow, slush, poor visibility or other slippery conditions may also come in to play. Following a head on collision, the police will likely get involved because the law has been broken. All of the emergency vehicles at the accident scene ( police, fire truck, ambulance, emergency helicopter) will attract a crowd. In turn, this will attract the media to the scene to cover the accident. Recently, texting and driving, or using or operating a cell phone or smart phone has become a more significant factor in causing head on collisions. Police are trying to crack down on the use of cell phones and smart phones in cars, but it’s proving to be very difficult to accomplish. The second reason which head on motor vehicle accidents attract so much attention is because the impact and ensuring injuries to the drivers and passengers of the car is often devastating; if not catastrophic. Head on collisions are the leading cause of death on the road in Ontario, making them the most deadly type of car accident on our roads today. Imagine two cars travelling the speed limit (or over) on a local road and hitting each other head on. Imagine the bodies inside those vehicles and the serious trauma to the driver and passengers in the car. No matter how safe the car, or how good the seat belt, the impact will be jarring to the parties involved. Because the impact comes from the front of the car, or near the front of the car, the driver and passenger are at greater risk of sustaining a brain injury, spinal cord injury or significant whiplash injury. Some of these collisions even result in wrongful death claims. Head on collisions may trigger the front driver and passenger air bags to deploy. Sometimes airbags can prevent head injury. Other times, they add to injury. It all depends on the impact and rate of speed of the vehicles involved in the collision. Other common physical injuries from head on collisions can include injuries to the back, head, neck, shoulder, knees and legs, along with a variety of broken bones or internal injury. Our lawyers also know that in addition to physical injuries, there’s a good chance that the driver or passenger may experience some cognitive or emotional injuries following the car accident. It’s not uncommon for our clients to experience nightmares, fear of driving, memory loss, dizziness, headaches, depression, anxiety, mood swings, slurred speech, or vertigo. This is why our law firm takes a multidisciplinary approach to your car accident case. We will pair you up with the best occupational therapists, physiotherapists, psychologists, speech language pathologists, neuropsychologists and other rehabilitation professionals to get you the results which you deserve. 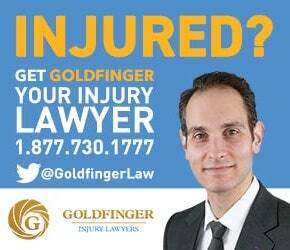 Goldfinger Injury Lawyers has assisted accident victims, families and their loved ones in car accident cases caused by head on collisions. Our law firm has recovered millions of dollars in compensation for our clients against negligent drivers, and their insurance companies to restore dignity back to our clients’ lives. Head on collision cases may seem simple, but they often aren’t as cut and dry as you might think. There are always two sides of the story. 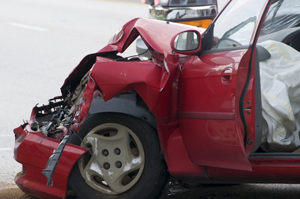 There are sometimes insurance coverage issues in head on collision cases. But, our focused lawyers have been trained to get to the bottom of these issues so that we can get the most out of your car accident case. Call us for your free consultation today.